After the mass shooting at a Pittsburgh synagogue Saturday morning, Central Indiana police departments say they are taking extra steps to make sure local synagogues are safe. 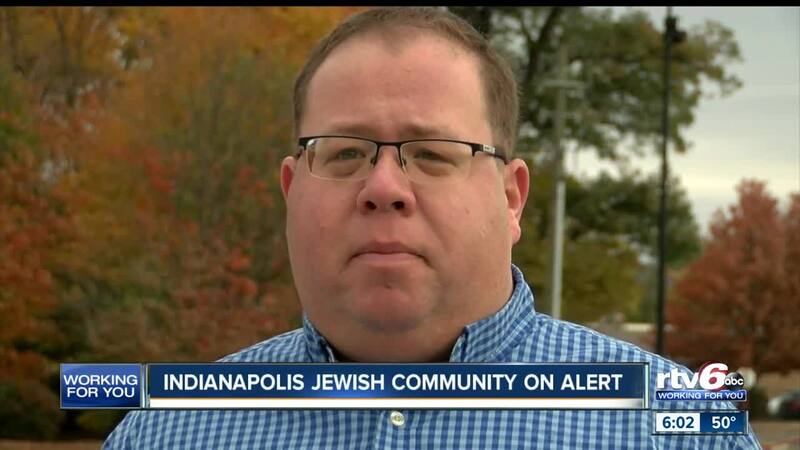 INDIANAPOLIS – After the mass shooting at a Pittsburgh synagogue Saturday morning, Central Indiana police departments say they are taking extra steps to make sure local synagogues are safe. Indianapolis Metropolitan Police Department officers will be doing extra patrols at synagogues in their assigned beats. The department will also continue to monitor local and national news for potential threats in Indianapolis, according to IMPD Public Information Officer Aaron Hamer. 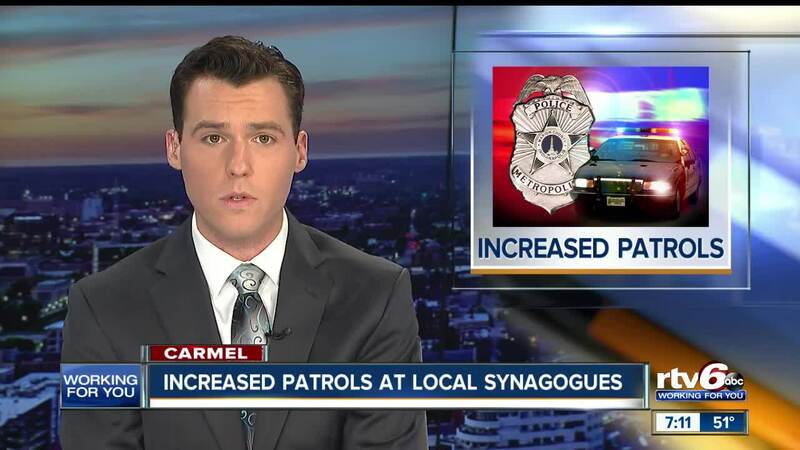 Carmel Police Department officers will also increase their patrols and take extra precautions at synagogues. In July, anti-Semitic graffiti was found at Congregation Shaarey Tefilla in Carmel. The Indiana State Police is also reminding people of resources available to prepare for an active shooting event at a place of worship.